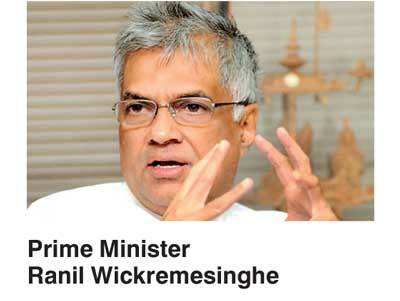 Prime Minister Ranil Wickremesinghe yesterday disclosed in Parliament the recent decisions the Government took to develop the World War II-used tank farm in Trincomalee as a joint venture between the Ceylon Petroleum Corporation and Lanka IOC. Tabling the Memorandum of Understanding (MoU) on cooperation in economic development projects signed between Sri Lanka and India during his recent Indian visit, the Premier said: Since 2003, the Government receives $ 100,000 per annum from Lanka IOC as lease rental. No issues came up in the past about these moneys. The MoU also includes a string of development plans including the proposals for a 500 MW LNG plant in Kerawalapitiya, a 50 MW solar power plant in Sampur, appointing a joint committee to develop the Trincomalee harbour, encouraging Indian investors to invest in special economic zones in Sri Lanka, the development of the northern road network and Lankan railway line, construction of a new container terminal at the Colombo Port also with Japan and CPC and the development of agriculture and livestock. JAPAN has become a US puppet. SHAME! KIM said JAPAN will be the first to GO if war breaks out. There will be lots of colonists to listen to Modi the Emperor in Malay Nadu. Indian investors get their money from the island nation from the year Traders Registration Ordinance of Ceylon 1840.